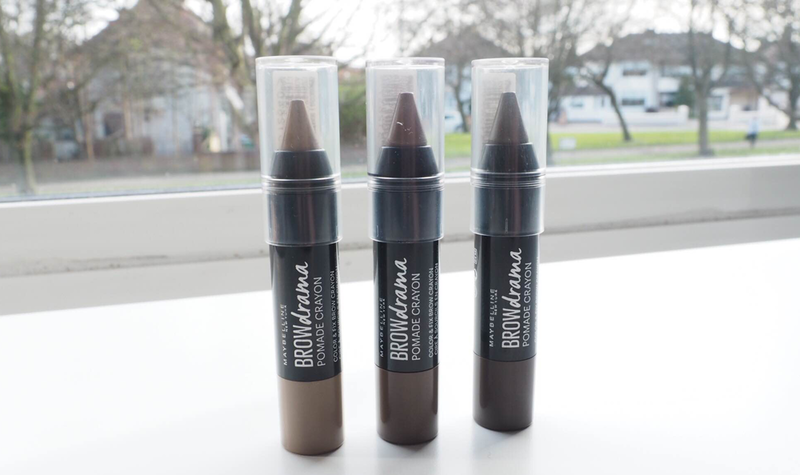 Last month Maybelline kindly sent me the new Brow Drama Pomade Crayons (£5.99)* to try out. As you will know I have blonde hair and blonde brows so I have to fully draw on my eyebrows every day. I've tried tinting them but I'm never happy with the result. Depending on what makeup I'm wearing that day I do change the colour of my brows. The Pomade Crayons come in four colours: Blonde, Soft Brown, Deep Brown and Auburn. I don't have the Auburn shade here as it is way too warm for my brows, but I've tried all three shades so can report back on the finish. 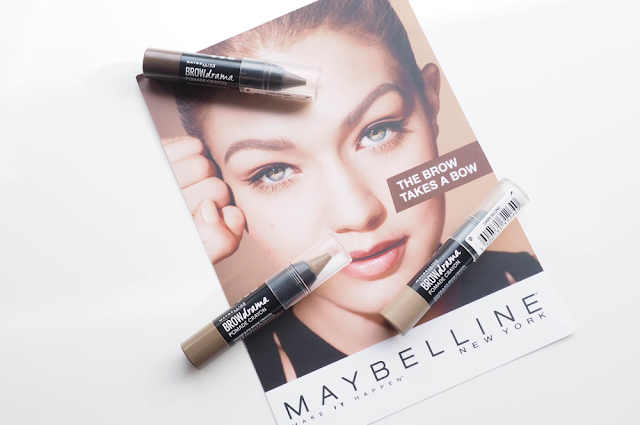 Maybelline know how important a well-formed arch is as your brows frame your face, so having a good product to hand is vital. The pigmented formula helps your fill in your brows easily as it has a creamy texture. It's a wax pomade and lasts all day with setting spray or a brow gel on top. I prefer the Soft Brown shade as it isn't too warm to give you that awkward ginger tone to your brows when you're not looking for it. The Blonde shade is lovely when I'm wearing 'no makeup makeup' or just filling them in to go on errands. I've used the Dark Brown shade lightly but that defeats the point when the Soft Brown looks perfect. Having a thick handle means the product is easy to use and you fill in your brows so much quicker than using a thin pencil. I brush through my brows after applying it to even it out and I'm ready to go. If you wanted to use a brush to apply it, like you would with a lipstick in some scenarios it also works well.